Urmet has launched the Max IP Touch, an Android-powered touchscreen video door phone that revolutionises the world of video door phones and brings smart home technology control and video intercom into the home via a single touchscreen. The thin, state-of-the-art screen uses swipe and gesture recognition similar to that of a smartphone and integrates perfectly into any contemporary interior. Users are able to view and speak with visitors at external door entry panels using the Max IP’s 7-inch colour video screen and duplex audio function. The system also allows call-forwarding to mobile phones via Urmet’s Call2U App when occupants are away from home. This simple-to-use touchscreen door entry phone demonstrates Urmet’s commitment to open integration and optimising home automation for the end-user. For large residential projects, Urmet can deliver the units to installers preloaded with the property developer’s chosen apps for third-party home automation, such as lighting, heating and window blind control. 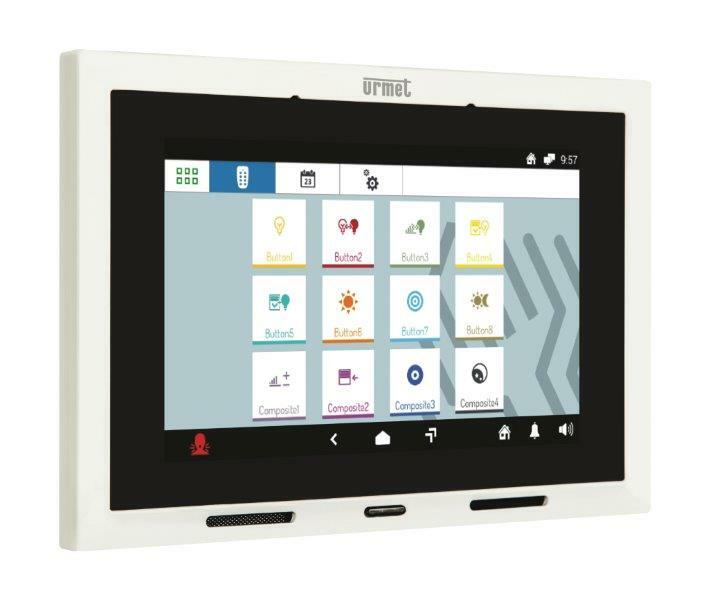 The new touchscreen is compatible with the Urmet IPervoice range, including CCTV surveillance management and proximity readers, giving users high levels of security and highly efficient message management. The Max IP Touch unit can be installed on a wall or be recessed, without compromising building aesthetics. The compact design (w 208 mm x h 134 mm), combined with a wide range of preloaded apps, helps architects to reduce the number of panel devices that need to be attached to the wall. The Max IP Touch offers many of the functions of a conventional tablet and allows users to browse the web, send and receive emails and check local weather. There is a micro-SD slot for photos, music and other data storage. The wide variety of ringtones, customisable mute function and image capture function all make for ease of use and resident safety. High-fidelity speakers assure excellent sound quality. The unit also enables users to communicate with their neighbours and concierge staff. The Max IP Touch has a double LAN port and Wi-Fi, as well as Bluetooth connectivity. 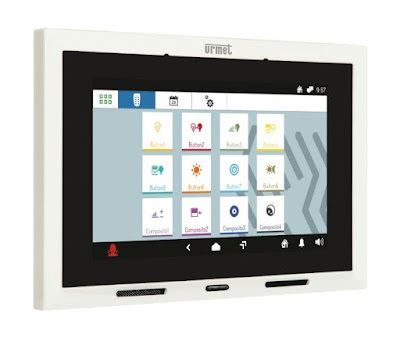 A doorbell and programmable alarm inputs are available making the Max the most feature-rich touchscreen offered by Urmet. The Max IP Touch also builds on Urmet’s already sophisticated lift control interface and the screen includes a lift icon that can either call the lift to the resident’s floor or send it to ground level to receive a guest or delivery person. The lift occupant can then only travel to the floor for which they have permission and is prevented from visiting other levels. This feature is a requirement of Secured by Design (the official UK police flagship supporting the principles of ‘designing out crime’) which mandates intelligent lift management. CCTV snap- shots and video recording complete Secured by Design compliancy. Please contact our project team to arrange a demonstration of the Max IP Touch at our London showroom by calling 01376 556 010.